I often talk about dysfunctional relationships. Today, I would like to look at what makes a healthy relationship. I have experienced both. My first marriage was sad. It was characterized by selfishness, control, invalidation and abuse. My second marriage is the complete opposite of my first. My husband and I are a team. We do things together. Not only do we exercise together and go on a date every week, but we pray together, do ministry together, parent our kids together. I can’t explain how healing it is to be with someone who loves me and wants the best for me, even to the point of giving me time or physical help when I need it. Of course, it isn’t perfect. There are times we disagree. There are times when we annoy each other. But, outside of heaven, I can’t imagine a better relationship. Both individuals must contribute honesty, caring, respect, responsibility, and repentance, which are qualities essential for the care, maintenance, and repair of the relationship. In a thriving relationship, both individuals make efforts to grow and change for the welfare of the other and the preservation of their relationship. The apostle Paul emphasized mutuality throughout his teaching on marriage. Husbands and wives may have different roles and responsibilities but he calls both to mutually fulfill them. When you are the only one in your relationship caring, repenting, being respectful and honest, sacrificing and working toward being a better spouse or having a good relationship, you may be a godly spouse but you do not have a healthy or thriving marriage. I couldn’t agree more. Living in a marriage where you are the only one examining your actions, making needed changes and trying to make the other happy is life-sucking. During my first marriage, I got into a circle of, “Well, he didn’t like when I did/said that, so I must need to change that. Yes, I must be selfish, or he wouldn’t be so angry all the time. I must be expecting too much from him. Maybe I just need to lower my expectations . . .” – YUCK! In my second marriage, I have learned not to hold in any negative feelings I have. I have learned to be honest with my husband, even when it is hard for me and I naturally just want to keep silent. I give him respect, and guess what, he gives it back to me! When things are difficult between us, we go to counseling TOGETHER. In fact, I think we went to counseling for the equivalent of six of the first eight years we were married. Being step-parents is hard! In our previous marriages, we had raised our kids very differently. I tended to be hyper-vigilant, and he tended to be more relaxed. Once we were married, we had to move our parenting styles closer to each other. Both people in the relationship must give and both people get to receive. Power and responsibility are shared and there is not a double standard where one person gets all the goodies in the relationship while the other person sacrificially does most of the work. The apostle Paul validates reciprocity when he gives guidelines on how to give our resources sacrificially but not foolishly. He writes, “For I do not mean that others should be eased and you burdened, but that as a matter of fairness your abundance at the present time should supply their need, so that their abundance may supply your need, that there may be fairness (2 Corinthians 8:14). There may be seasons in every relationship where one person gives more than the other due to illness, incapacity or other problems but when that happens, as soon as the individual is capable, the relationship is rebalanced and power and responsibility are again mutually shared. Toward the end of my first, abusive marriage, my husband had all the relational power. Whatever he wanted to do was what we did . . . from the TV shows we watched, to what we chose to eat, to making decisions about the children. If I ever dared to disagree, he would make me pay for it, either with rage or extended silent treatments. He never asked what I wanted or what I felt. That was not even a consideration. If he was ill, we all had to stop and take care of him, if I was ill, I had to make sure it didn’t affect his life. In my second marriage, I learned what reciprocity meant. My husband is not interested in power plays. We mutually share the work that needs doing in our home, (I think he tends to do more than I do). If I am sick, or sad about something, he cares for me and about me. In a good relationship, you are allowed to make choices, to give input, and to express your feelings without fear of being badgered, manipulated and punished. When freedom is present, we’re not afraid to be ourselves nor are we pressured to become something we’re not. Freedom is an essential component in all healthy adult relationships. We’ve all witnessed the results in world history, in fundamentalist religious groups, and in families where freedom is squashed. Members are not free to question, to challenge, to think differently than the group. They are not free to grow or to be themselves without fear of retaliation. Instead, they have to do and say and be what the group or person in charge tells them. That is not healthy nor is it God’s plan. Although God wants unity in a family and in the family of God, He created great diversity. We are to be ourselves and be of one mind all at the same time. This one mind idea doesn’t mean melding ourselves into the desires or demands of another individual but together living for a common purpose and goal, the kingdom and glory of God. In my first marriage, I was not allowed to voice any thoughts of my own. If I did, I paid for it. This didn’t mean I didn’t HAVE any thoughts of my own. I had plenty of them! I just learned to keep them silent. I also learned to never cry in front of my husband. If I did, he would ridicule me, and say that I was manipulating HIM! It wasn’t that I was sad or angry about something, but that I was “using” my tears to hurt him! Many abusers will restrict their partners’ movements. Mine didn’t, thank goodness. But, he did try to restrict what I would say to those I knew. I was not allowed to be honest about what was happening in my home. When I finally did talk to our pastor, that basically ended our relationship. From that moment on (for a year), he only talked to me when he was raging at me. The rest of the time, he pretended I didn’t exist. In my second marriage, I am free. I am free to share my thoughts and feelings. When I don’t, he asks me to! I don’t have to walk around on eggshells. My husband encourages me to be all that I can be. He loves to talk about my books and my blogs to those who might need them. He encouraged me to go back to college for my master’s degree in counseling. He encourages me to take care of myself, physically, emotionally and spiritually. I am free to be me, and to become an even better me. 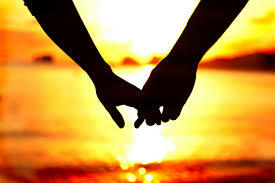 Question: Is your relationship marked by mutuality, reciprocity and freedom? Or is it rife with control, selfishness and invalidation? If that is the case, my advice is to get educated about emotional abuse, to see if that is what you are experiencing. If you are, you can begin to face the problem with open eyes. I pray that we will each strive to serve one another humbly, and that we will in turn be served humbly by others. For those of us in abusive relationships, I pray we will become educated, and get the help we need. Please let me know how I can serve you via my contact page or Facebook messenger.